Sony’s unique 4K TVs upscale your favorite TV shows, DVDs and Blu-ray movies – even YouTube clips and smartphone videos – for higher quality, stunning results. The new 4K X-Reality PRO chip enhances HD (and lower resolution) images by analyzing and refining images with beautifully natural detail and astounding color. How to get 4K video on Sony XBR 4K Ultra HD TV (XBR-65X850A & XBR-55X850A/XBR-65X900A & XBR-55X900A/XBR-84X900)? Sony 4K Ultra HD Media Player is your best choice to get 4K movies resources, this media player is the world’s first and only network video service that gives you access to a regularly updated library of full-length feature films and TV shows in 4K Ultra HD right in your living room. If you plan to get the 4K Ultra HD Media Player for your 4K HD TV, you can go to Amazon to get the detail. But you will spend much money on this media player. Is there another way to play movies on Sony XBR 4K Ultra HD TV? You may downloaded some movies, collected some DVD disc and Blu-ray disc, or buy some hot movies form Apple iTunes store etc. How to play these movies on Sony XBR 4K Ultra HD TV? You need a Sony XBR 4K Ultra HD TV Video Converter to convert and transfer these video to USB flash drive. Yes, you can play movies on Sony XBR 4K Ultra HD TV via USB flash drive. Sony XBR 4K Ultra HD TV Video Converter, a professional HD video converter for Sony all 4K HD TV, XBR-65X850A, XBR-55X850A, XBR-65X900A, XBR-55X900A and XBR-84X900 are including. With it, you can convert any video format (MKV, MOV, WMV, AVI, FLV, M4V), Blu-ray and DVD for Sony 4K TV. If you purchased movies from iTunes, and you play to play iTunes movies on Sony 4K UHD TV, DRM Media Converter can help you remove the DRM protection and convert iTunes M4V movies to Sony XBR 4K Ultra HD TV supported video format, such as HD MP4. As for DVD, you can rip/convert DVD to HD MP4 via the Sony XBR 4K Ultra HD TV Video Converter. How to convert video, DVD, iTunes movie to Sony XBR 4K Ultra HD TV? Step 1: Install and run Sony XBR 4K Ultra HD TV Video Converter, add Blu-ray, DVD or your downloaded movie into this program. Step 2: Choose Sony TV bbest playback format as output format. Click “Format” to choose “Common Video” > “H.264 Video (*.mp4)”. Step 3: Click “Settings” button to select 1920*1080 as output video resolution. 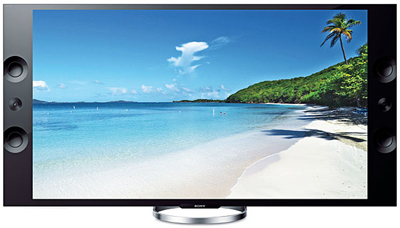 Step 4: Click convert button to start video MP4 conversion for Sony XBR 4K Ultra HD TV. Step 5: After conversion, click “Open” to locate the converted videos, transfer the video to USB or a digital device. Step 6: Connect a USB memory stick or USB cable of a digital device to the USB port. Step 7: Select the file from file lists to view. Tip: If you like the playing 3D movies on Sony XBR 4K Ultra HD TV, this Sony XBR 4K Ultra HD TV Video Converter can help you convert 2D movie to 3D for you.